Doubled consonants insert a thin pause on spelling; they also help mark the stress of a word. Some languages, e. g., Spanish, Portuguese etc., make use graphic notations due to their irregular stress. Instead, Jusuk deals with it by doubling the consonants whenever it is needed. 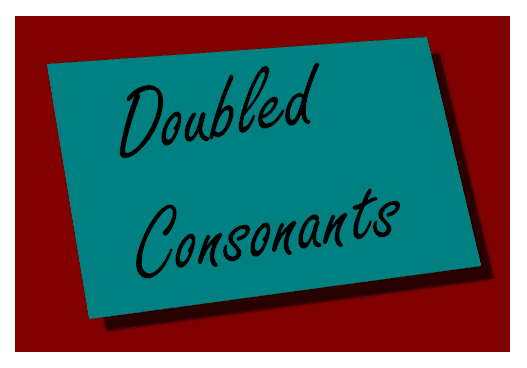 So every consonant has its own doubled form. Remember stress falls usually at the penultimate, except for monosyllabics and also for infinitive form of verbs. Also: case markers do not alter stress. There are two sorts of consonants: pristine and non-pristine. Pristine consonants are doubled by simple reduplication, as seen below. alorruče "mask": stress falls in the syllable lo. taggu "target": stress is regular. hattegetu "August (month)": because it is a compound word (hatte + getu), stress falls in the syllables ha and ge. dabbiul "double u": stress falls in the syllable da.